Harry Hill has something profound to say about who you are. Right then. Let’s start with an easy one. What do the kids call you at school? I’m guessing… some variant of Mr/ Miss/ Ms/ Mrs Something-or-other? Perhaps ‘Sir’ or ‘Miss’? At least to your face. Ok, now a harder one. Who exactly are you when you’re at school? Well, to answer that one you’re going to have to read the rest of this blog post. Stay with me. In the earliest days of my PGCE, I remember being profoundly weirded out by my given title of ‘Mr Boakye’. To clarify, my name is Jeffrey Boakye. At no point in my life had I been referred to as Mr anything and it felt odd to suddenly find myself decorated with that moniker, just because I was hanging around in a school in a professional capacity. ‘Mr Boakye’ (inverted commas entirely necessary) felt somewhat different to the ‘Jeffrey’ that I felt myself to be prior to teacher training. ‘Mr Boakye’ kind of felt like a new character I was adopting, rather than the person I actually was. Jeffrey came quite easily to me aged 26. ‘Mr Boakye’ was going to take some work. Which, to an extent, summarises the following seven years, up until the writing of this blog post, during which time I have been crafting ‘Mr Boakye’. He talks a certain way. He definitely dresses a certain way. He has certain attitudes and behaviours, and projects a certain set of ideals upon his practice. Not to get too Liam Neesonish about it, ‘Mr Boakye’ has a particular set of skills acquired over a (reasonably) long career. Skills that make him a nightmare for people like you. Introduce a very interesting dichotomy that forms the basis of this essay: The fact that ‘Mr Boakye’ is a crafted, craftable concept, and one that I can objectively scrutinise, suggests that there is something about teaching that is performative, if not artificial. Simply put, teachers don’t just stroll into their careers as the casual first namers you might meet in a pub or wherever; we take an active step into the role of teaching. And that comes with effort and deliberation. See, while the crafted persona of ‘Mr Boakye’ is strong and gets stronger, the life of Jeffrey Boakye has informed my teaching at every turn. When I think about it, many of my lessons have been tea-stained by events of my life. For example, when helping my sister get her daughter into primary school, my letter of commendation became the subject of persuasive writing analysis. I once got a bunch of year 9 boys to analyse and critique my wedding speech. My love of Hiphop has almost entirely derailed my pedagogic thought processes (for the better). And so on. 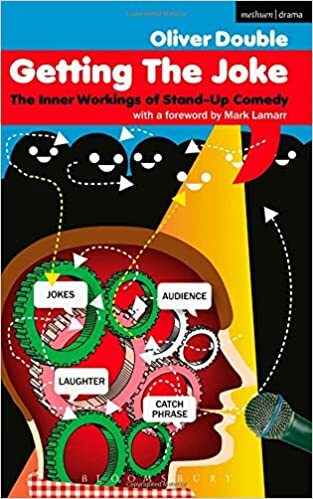 In his excellent book on the history and machinations of stand-up comedy ‘Getting the Joke’, Oliver Double offers the astute and useful ‘Performer-character’ distinction. Stand-up comedians, he argues (by the way, read this essay if you need convincing on the genetic similarities between the comedian and the teacher), are on a performer-character spectrum. Meaning that they straddle all kinds of lines between who they are and who they choose to project to their audiences. Teachers, I believe, are on the same spectrum. Who we are, who we choose to be, and who we think we need to be are all paddling in the same canoe. Character comedian. You know the type – comedians who exist entirely as a stylised character bearing no relation to the person who plays them. Think all the characters played by a Harry Enfield or Steve Coogan. Personally, I’m not sure if this can apply to a teacher, unless you walk into a classroom with a fake name and completely fabricated personality. Which, crazily enough, I actually did for a string of lessons in 2011 in which I adopted the role of ‘Poetry Man’, a Wonka-esque, trilby-hatted loon who took kids out on adventures involving balloons, biscuits, zombies and polaroid cameras. Seriously, I did that. Click the links. It was exhausting. Exaggerated persona. These are those comedians who play amped-up versions of themselves, usually with stage names and outlandish wardrobe. This, if I’m being honest is where I am at the moment. ‘Mr Boakye’ has evolved into a stylised vision of my own creation. A kind of cartoonified projection of the teacher Jeffrey Boakye has chosen to be. Naked self. When all pretences are dropped and the character is as close to the person as possible. Ironically, I think this naked self can only really emerge accidently. The intensity of teaching and constant proximity to audience (students; colleagues…) means that any chosen persona will necessarily slip. I’ve always maintained that the ‘real’ you will out after even a short stretch of teaching, because you can’t keep a a mask on when building relationships. I can do everything in my power to create ‘Mr Boakye’ but the kids know Jeffrey whether I like it or not. Recently (by which I mean the last four years or so) I have been trying, intently, to forge the naked self into the exaggerated persona. I have no idea if this is a sensible idea but I’m in love with the concept of not having to put on (or take off) any masks in my professional life. I want to be ‘Mr Boakye’ at all times. I want to lose the inverted commas; I want my work wardrobe to be my weekend wardrobe. What I really want, I think, is authenticity, and this might be the point of this essay. Teaching thrives in the relationships between teacher, student, subject, and the more authentic these relationships the better. If I’ve learned anything about developing this authenticity it’s that you have to allow something real to permeate your crafted self just as much as you have to exercise control over your naked self. I think once everyone started doing their own material, most people are putting over… something about themselves, no matter how hidden it is. From this understanding, it’s not so much a case of asking can you control your persona, it’s more a case of do you want to? In the past thousand words or so I have suggested that ambiguity over the self is part of becoming a teacher. The question to leave on is whether or not (or to what extent) this ambiguity might help or hinder your practice. Teaching forces us to do what comedians and artists strive to do: reconcile our various selves. We’re so exposed, and so structured, that we have to find a middle ground. This is to be welcomed, perhaps celebrated? It’s about honesty, or the right level of dishonesty, or control, or lack of, which keeps the relationships alive and vital. The audience, the students, need to see some of who you are if they are to accept you and genuinely enter the dialogue you instigate every time you stand there with a lesson plan. To go back to the hard question at the start of this essay, who are you when you walk into the classroom? And who do you want to be? As ever, no straightforward answers, but definitely something to think about. For more thoughts on the nuances of performance and persona I strongly recommend finding and reading ‘Getting the Joke’ by Oliver Double. Really interesting Jeffrey (‘Mr Boakye’). I’m working with trainee teachers in Stratford this week and will recommend they read this. Some of them have already been working in schools in a different capacity (eg sports coaching) and we are talking about, among other things, how your ‘persona’ may need to evolve when you move into a formal teacher role. I’m also doing a doctorate on the transition to headship, and the points you make are relevant to that too, I think. How do you prepare to move from deputy headship to headship (sometimes within the same school)? How can you remain true to yourself while still accepting that your professional identity will need (subtly?) to alter in some ways? Thanks for reading. Profound thoughts. The evolution of persona is a an important consideration in ‘progression’ as you say. Makes you wonder if energy is best spent on shaping and understanding this evolution. Would love to hear your insights as you continue mentoring on this issue. Keep me posted please.